In my March 2019 Monthly Income Report, we’re looking back on what worked, what didn’t, what lessons we can learn and how we can best move forward to achieve our dreams. I’ll also share my business strategy and tips that helped me earn $16,296.14 blogging in one month. 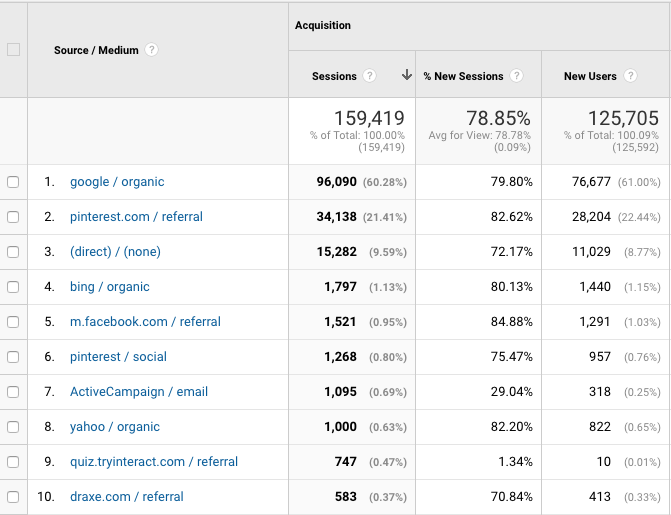 Welcome back to Root + Revel’s monthly traffic + income reports! You may remember back in 2017, I published my very first income report detailing how I earned $75,000 from my blog in its second year. Then I started writing monthly income reports in 2018, culminating in an annual report showing you exactly how I earned $150,000 from my blog in its third year. And last month, I shared how I was able to earn over $20,000 IN ONE MONTH. WHOA?!?! I know this might seem a little crazy to you–or perhaps you’re just here for the healthy living tips (might I recommend this Guide to Indoor Pollution + Air Filters to hold you over), but let me explain. P.S. If this isn’t your first rodeo and you’ve been following along with these income reports for a while, you can skip to the next section titled Total Income. Before we get into the details, I also wanted to share my traffic totals for August. Psssst….love seeing my new email service provider driving traffic back to the blog! March marked my first full month with ActiveCampaign (where the screenshot above was taken). My goal for 2019 was to get 1,000 new subscribers per month and we more than quadrupled it last month. WHOA! A large part of this was because of a big giveaway we ran for Air Filters, which had over 2,500 people enter (not all were new subscribers). I also wanted to increase my open rate to 25%. Last month, we averaged around 25.84%, which is so exciting! I also wanted to increase my click rate to 5%. Last month, our average click rate was 4.87%, so we are almost there. Another goal I want to set is reducing our unsubscribe rate. Last month it was 0.61%, which means about 10 people unsubscribe every time we send an email on average. But we also lose subscribers without sending emails. In fact, last month we lost 933 subscribers, or about 33 subscribers per day. I’d love to see that number be under 500 unsubscribers per month, or less than 15 unsubscribers per day. Hopefully as we continue to improve our segmenting and value, our subscribers will stick around more. Scroll below to Takeaways section to read more about our email efforts and optimization. 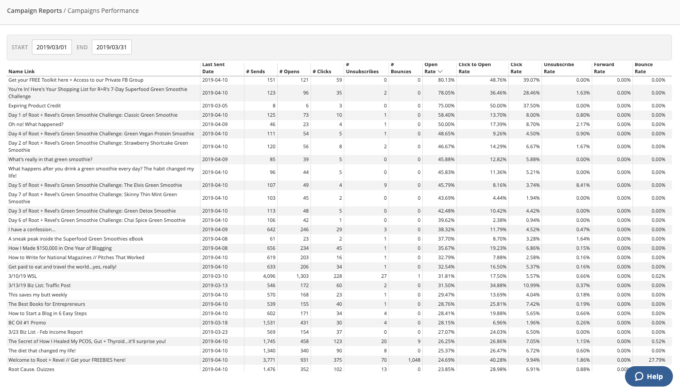 This is a new metric I’m adding to my income reports, as SEO is such a focus for us right now and I want to track how our efforts are working. Note: DA is a ranking metric developed by Moz that predicts how well a site will rank on Google, and is measured on a scale of 1 to 100. The closer you are to 100, the more traffic and better ranking you’ll have. As you can see, although we have nearly 25,000 email subscribers now, we don’t send every email to everyone on the list. First, when subscribers first join, they go through our Welcome Series. Then they get put into different funnels based on their interests. We spent a lot of March tinkering with segments and targeting, trying to balance sending to the most people to maximize our reach, while also sending only to those engaged and active subscribers to improve deliverability. We’ve tested some subject lines, too. And soon we’ll start A/B testing more campaigns, both the subject lines and the content itself. One of the key things I noticed when analyzing my campaign performance this month was that our emails with the highest open rates are the Welcome emails when people first join and are looking to get their freebies, whether it’s access to our Library of Resources or our Blogging Biz Toolkit. After that, I notice that the more niche the emails, the higher the open rates. 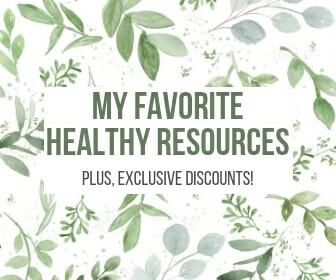 For example, our 7-Day Free Green Smoothie challenge has super high open rates, as do our Blogging Biz Series emails, both of which are between 32-58% opens. This tells me we should create more targeted email series. 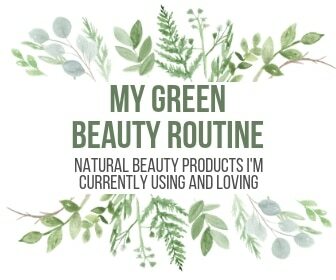 I’m thinking of adding a Green Home and Green Beauty series, as well as a Natural Mama + Baby series to our email list. Beautycounter: Last year, I mentioned that this beauty brand was going to be a big focus for me in 2019. And I’m ECSTATIC to report that with very minimal effort on my part, I was able to make over $1,500 this month from Beautycounter and grow my team to 14 people. I was just $600 away from making Director last month, so April is all about working with my team to hit that promotion. The 15% Friends & Family sale will definitely help 😉 I’m SO excited to be empowering these women (and ONE MAN who joined recently!). Want to learn more? 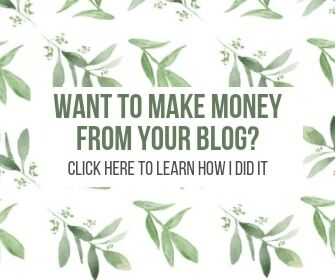 I’ve found their consultant program to be an amazing way to build revenue from my blog and it’s a business that I am super proud to be a part of. I primarily use Beautycounter as an affiliate program, rather than trying to sell to friends and family (though there’s some of that, too). As I’ve done with Root + Revel, I love being an educator and helping people understand what they’re putting on their body and WHY IT MATTERS. So how’d I do it? Easy! They have an amazing commission structure that allows you to not only earn up to 35% on all sales, but also to earn additional 5-12% commission from your team’s sales AND get 25% off all products for yourself. My goal is to make at least $2,000 per month from the program, and in my third month of putting in any real effort, I’m already 3/4 of the way there. 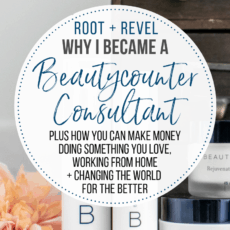 I’ll continue to keep you posted in future income reports, but in the meantime, if you’re interested in learning more about Beautycounter and/or becoming a consultant, I’d love to talk with you about joining my team. 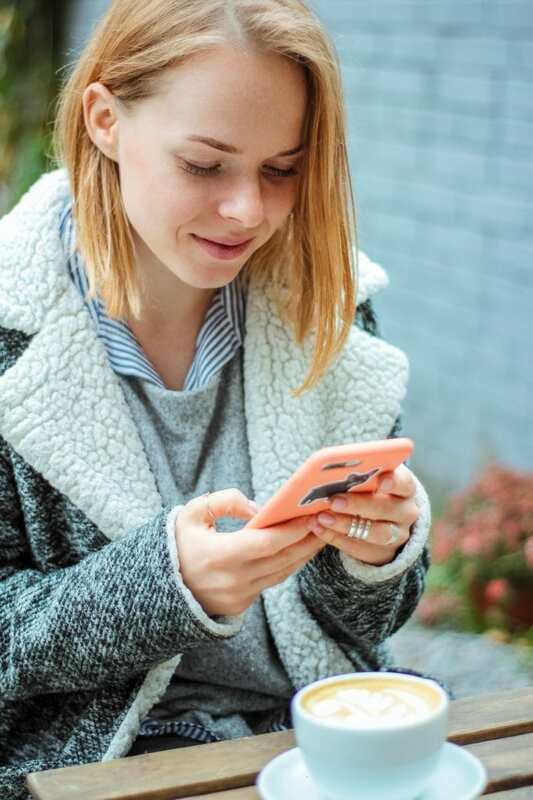 I can’t wait to see where this program can take my business, and as I’m working to build a team of bloggers, if you’re reading this and wanting to add a great new revenue stream to your arsenal, we should chat! Comment on this post or email me (kate[at]rootandrevel.com). Speaking of Affiliate Income, I was so happy that we got the kink worked out with Butcher Box from last month, and our income returned to nearly $5,000 in one month. In fact, our affiliate revenue hit an ALL TIME HIGH in March at a whopping $11,328.67. This is incredible, especially since our pageviews/traffic haven’t really changed. It makes me think: if my goal is to make $25,000 per month, and I can make $12,000 from affiliate income, $2,000 from Beautycounter, and $4,000 from ads then I only need to come up with $7,000 more each month, which could be my goal for my course sales each month. And then I would only work with a VERY FEW select sponsors and stop relying on that kind of time-for-dollars income. As I’m still battling with finding that elusive working mom balance, finding more sources for passive income and scaling back on the number of new blog posts we publish each month might just be where I take things in Q2. Stay tuned! I’m going to keep this one short and sweet as my goals haven’t changed much this quarter, and I still need to FINALLY finish my Blogging Business course. One day it will happen. We’re getting closer. Stay tuned. I’m in the process of hiring a copywriter to help me create some email funnels and a sales page, and I think working with her will also help hold me accountable, as I’m clearly struggling to do that for myself. But there is one quick thing I want to talk about here: abundance. You may have noticed last month that I participated in a blogger collaboration called #betterforyoucrew with five other green bloggers. While many influencers often see our peers as the competition, I couldn’t feel more opposite. My peers are my friends, they are who I learn from, network with, share successes and challenges with, bounce ideas off of, meet with to vent about the Instagram algorithm…you get the idea. There is only one YOU, only one person who has your incredibly unique perspective, experiences, skill set, talents, voice, opinions, and passions. And nobody else can ever replace you. Think about it–how many people ONLY shop at one store? Only listen to ONE band? Only eat at ONE restaurant? NOBODY! The world is wide enough for all of us. There is room for everyone, so a big focus for me this year is collaborating with my peers more. I want to build each other up, not tear each other down. Comment below if you agree! Can you tell us what percentage of your affiliate sales come from the blog vs email list? Also, you noted that ultimately you want to drive traffic to selling your own products. Do you think you’ve worked as hard this past year driving traffic to your own ebooks as you have to affiliate products? Just curious if that is truly passive income or if you continue to work on the sales? Thank you SO MUCH for all you share to your readers. It truly is inspirational and helps as a bit of a pick-me-up when I’m frustrated….. 🙂 You’ve built an amazing blog and your posts are very enjoyable to read. I wish I knew the answer to this brilliant question, but alas it is far too complicated to track where affiliate income came from for all of our hundreds of partners. 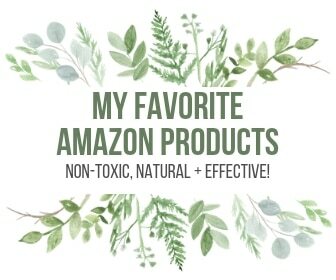 While it is possible to use specific tracking links, it would require so much work for us to create 2 unique links for every single affiliate link we use (there are literally THOUSANDS) and so we don’t really know exactly where our affiliate sales come from across the board. However, this assumes that all revenue came from email. So we’d have to then take a percentage of that revenue instead. If we guesstimated that 50% of our revenue came from email, that would bring the value of a subscriber up to $2.88. But this doesn’t take into account expenses. So we’d try using net profit instead ($8,758.91), 50% of which is $4,379, which would bring the value of a subscriber up to $5.36. Why does this even matter? Other than being a “good to know”, if you ever run paid ads to grow your list, you’ll want to make sure that you’re not paying more per lead than that lead is worth to you. So if I determine I make about $5 on every subscriber on my email list, I want to make sure that my ads cost less than $5 per conversion. To answer your second question: affiliate income is not 100% passive. While we do make the bulk of our affiliate income from our email autoresponder series and static blog posts (do it once and forget it and keep earning forever), we also make money from the weekly emails we send out in real time, social media posts that we do daily and creating new content for the blog. I don’t have an immediate answer for you about how passive it really is, but you’ve inspired me to look deeper into this and I will report back next month with my findings. For the last 2 months, I’ve been donating to Nicholas House in your name, as I am so blown away by their incredible mission and want to do as much as I can to help these families make the transition from homelessness to self-sufficiency. So this month, I donated to Nicholas House again. I love the structured but home-like environment that requires they earn a living wage, maintain the physical, mental and social health of parents and children, and maintain safe and stable housing. They’re also highly rated on CharityNavigator for their accountability, transparency, and performance. Join me, won’t you? P.S. Stay tuned–we’re working on an exciting virtual fundraiser coming to you soon! Can you explain your RPM calculation? $73 doesn’t make sense to me with your PV and ad revenue. Also, mine is so much lower, and I’m completely dumbfounded as to how I could increase it that much! Love your reports, btw. These are so inspiring! You’re awesome! This is such great information and motivation alone to start working for myself. I don’t have a blog or Instagram following but I really desire to work for myself and stay home with my children. Thanks for sharing!